When Galaxy S9 or S9 + you experience hang or not responding. 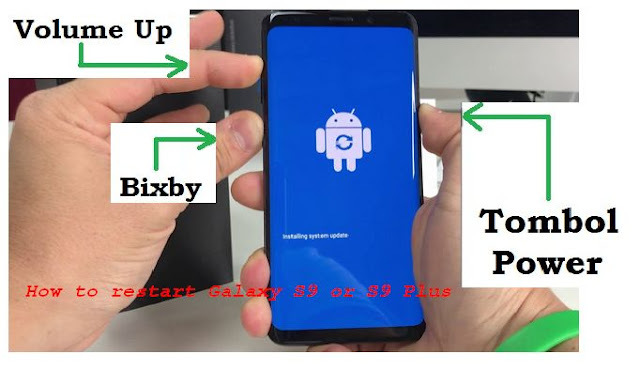 It is recommended to restart your Galaxy S9 or S9 + device. Press and Hold Power Button and Volume Down button simultaneously on Samsung Galaxy S9 for more than 7 seconds, to do the Restart Hang or Not Responding devices.